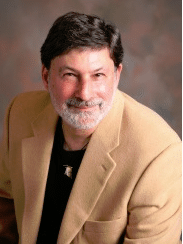 With over 44 years of medical practice, Dr Nathan is well-qualified to speak on this subject. He has spent the past 25 years specialising in treating patients with chronic, complex medical illnesses. During the conference, he explained that there are a number of underlying factors which are often the reason why a particular patient does not respond well to treatment. “There are a number of patients with tick-borne illnesses who are extremely sensitive to any form of treatment,” he said. “They often don’t respond well to the usual protocols or treatments,” He then went on to explain that the ‘biggest offenders’ to healing include people suffering from Bartonella, Mast Cell Activation Syndrome, mould toxicity, porphyria, and methylation Issues. With Lyme disease now one of the fastest-growing infectious diseases worldwide, Dr Nathan’s insights into the complexity of chronic tick-borne infections proved to be of great interest to the doctors and health practitioners at the conference. He said “It’s often difficult for people to move out or remediate their accommodation because that’s their home.” However, in his experience, if a patient is suffering from mould exposure, the first thing they need to do is to address this. Dr Nathan said once mould treatment has been carried out, “the immune system will start working” and then you’ll have much more success treating Bartonella.